"The new coasters are just plain gorgeous! I designed this one for my wife as a special gift for our wedding. 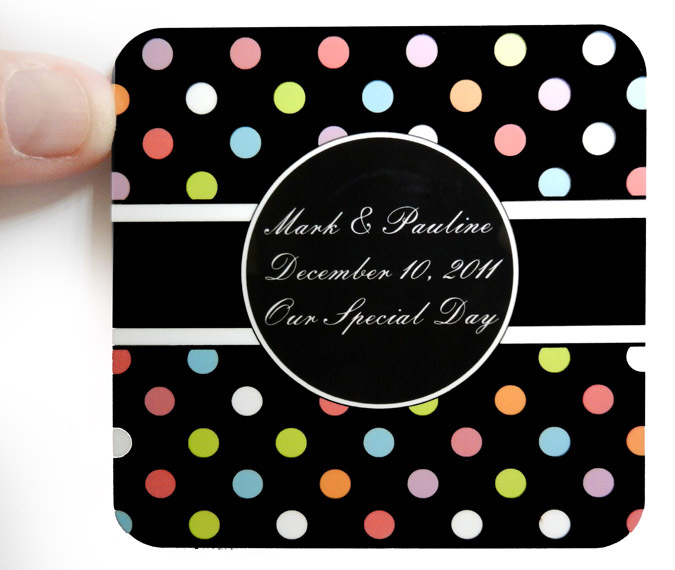 This is a great quality product with graphics and colors that reproduced beautifully! 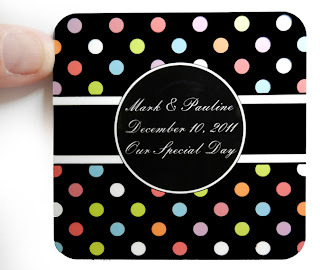 The coasters have nice rounded corners and the cork backing is black which coordinated really nicely with my black graphic design on the coasters." -Mark J.
I think the colors in the actual product image are closer to accurate with how these look than my photo taken (top image). We've already used these for company at the house and everyone has commented on how beautiful the coasters look.